During the summer, you and your family rely heavily on your air conditioner. If it operates inefficiently, your rooms cannot be kept as comfortable as possible. Even worse, you waste valuable energy running your AC unit longer and harder. If your air conditioner breaks down, your home can be unlivable. 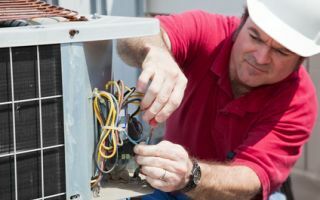 By far the most common cause of air conditioning malfunctions is a lack of proper maintenance. At Precision HVAC, our Saugerties air conditioning contractors are here to hep you with all your routine maintenance and repair needs. We specialize in air conditioning tune-up services for both local residents and businesses. We can troubleshoot your entire HVAC system to find and repair any problems present. After our efforts, you can rest assured knowing that your comfort system will provide for your needs in the best possible manner. When you hire us for your routine air conditioning maintenance needs, you are guaranteed to be satisfied with the results. In addition to the enhanced performance, you will also enjoy all of the following savings in the short and long term. Call our trusted heating & air conditioning contractors today to schedule your annual Saugerties air conditioning tune-up. Your air conditioner is a complex machine with many moving parts. In this way, it is analogous to your motor vehicle. If you failed to change to oil of your car, a number of problems would begin to occur, the first of which is that its engine would become less efficient. Neglecting your air conditioner results in the same problem. By scheduling an annual air conditioning tune-up in the early spring, you prepare your comfort system for the heavy demand of the summer. Our Saugerties HVAC technicians will troubleshoot your entire system in order to find and repair any and all inefficiencies. Afterwards, your air conditioner will operate in the most efficient manner possible. Returning to our analogy, if you do not change to oil of your car, eventually it will suffer significant damage. Likewise, failing to routinely maintain your air conditioner can lead to major problems. During the winter, your AC unit is dormant. During this time, a number of minor issues can occur. If left unresolved these slight problems can be exacerbated. Lastly, a poorly maintained vehicle will break down well before it would have if it was well cared for. Again, neglecting your air conditioner will lead to a similar result. With the help of our Saugerties experts, you will be able to keep your air conditioner well maintained at all times. By enhancing its efficiency, we reduce the amount of time that your AC unit must operate. By preventing damage, we minimize the major repairs that need to be conducted. Bottom line, you will get the absolute most out of your air conditioning system. If you are looking for additional Saugerties Air Conditioning tips or services, please call our heating & air conditioning company at 845-399-0669 or complete our online request form.